Mohamad Hanapiah Nasir used to battle against odds to make a name for himself as a decathlon and today he is battling for another reason - his life. The kampong boy from Jasin having successfully established himself as the Ironman of athletics, believes he will also win his battle against leukemia. Hanapiah who turns 58 in Oct 12, stumbled upon the cancer found in his blood and bone marrow after being involved in a motorcycle accident two years ago in one of his expedition, where he fractured his right thumb. 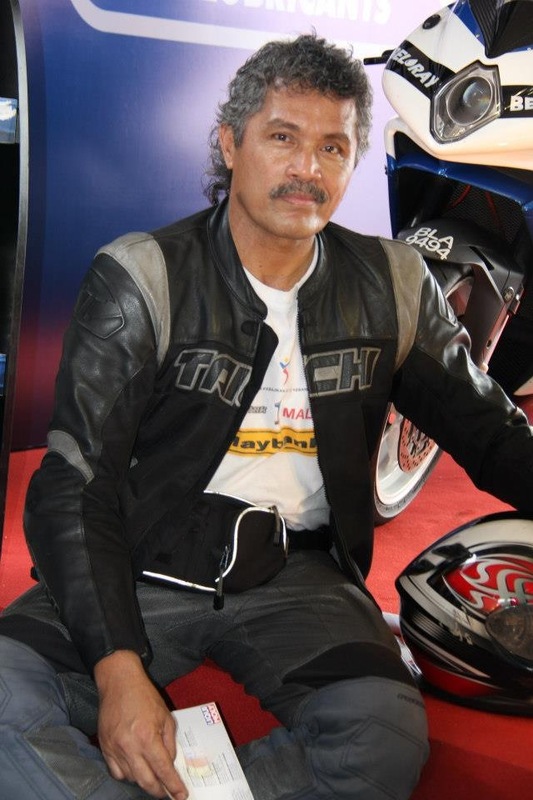 Hanapiah is also an avid motorcyclist from 1983 and despite having encountered about 60 accidents, his passion for speed supersedes all the injuries and pain. “All my life I had battled for what I want. It is not going to be any different now,” said Hanapiah who had lost weight from 85 kg to 71 kg because of his condition but has since regained weight through training. “I am a fighter. When the oncologist, Dr Hishamuddin Harun, diagnosed that I had leukemia after two blood tests taken after my accident, I just took it in my stride. Hanapiah said the doctor told him that he had two choices - the first was to take medicine or the second to do a bone marrow transplant. The pill he has to take everyday cost RM300 and for one month it costs him RM9,000. “I have to thank my employers Maybank for supporting me to pay for the medicine although I am on an extension scheme after having retired at 55. I missed the batch which is eligible to retire at 60,” said Hanapiah, an executive who is the trainer at the bank’s recreation centre on the Menara Maybank. “I have also to thank Dr Hishamuddin who applied on behalf of me to the supplier of the medicine to sponsor me for one tablet, for one purchased under the company’s Novartis oncologist access programme. “The doctor had attached my bio-data as a former national athlete and I qualified for the programme. With the rebate, Maybank pays RM4,500 per month for Hanapiah’s medication. But Hanapiah’s worry is when his extension with Maybank ends next year in October. However, Hanapiah being daredevil he is, he said that he will overcome his condition through regiment workouts. “All my life I have worked hard for results. Now I have to work to live and I will give it my best shot. If it is for me overcome the condition through my regimented training, so be it. If not, I am not going to be sad over it. “Besides my current job involves me drawing out “body transformation programmes” for employees who want to shape their body according to their needs. I have about 25 students under me. I am sure I can do a programme for myself and follow it. “I have always lived my life to the fullest and I am continuing to do so. After athletics, my second passion has been riding bikes,” said Hanapiah who rides every week without fail starting at 7am and returning home about 10pm riding to areas which winding roads. “It is in biking that I am pursuing a new path where I want to be master of the bike,” said Hanipah who rides the MV Agusta 1078RR. “The human body is not built to ride bikes and one has to master to ride bikes which many do not know. But I have studied about it and specialise in manoeuvring corners. “One has to know about the surface of the road, the gradients, angles and many other technical areas to master the art of taking corners and conquering corners. “It all started with me buying the book Twist of the wrist 2 by Keith Code on precision cornering techniques. Now I am sort of a guru to the young riders and whenever I get a chance I hold classes on the road for these riders so that they ride saver. With so much going on, it is little wonder that Hanapiah takes every challenge in his life with a positive approach. He has managed several crossroads in his life and see this as just another one. “In all my decisions when met with a crossroad, I have taken the right path. I hope that for this final cross path which I am gambling with my life, I will aso be heading right path too,” lamented Hanapiah. As an athlete, Hanapiah used to watch and admire former national athletes V. Angamah and Rabuan Pit train in Malacca. Incidentally both were from his area, Jasin and Merlimau. And it was teachers like M.P. Haridas and N. Palani from Jasin Secondary School who were responsible for unearthing Rabuan and Angamah, who gave Hanapiah a break too. 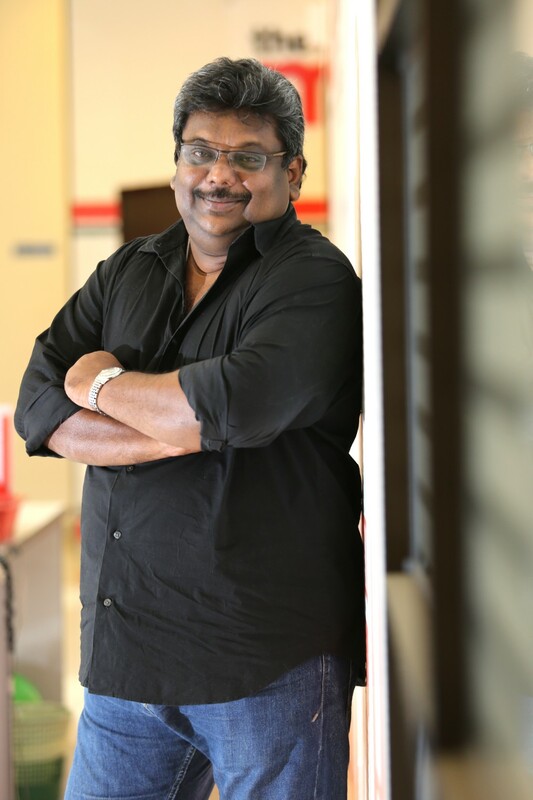 “It was Haridas and the headmaster Palani who were passionate about athletics who took me under their wings and coached me,” said Hanapiah the only son of marine police sergeant. “But it was not easy to make the break. It was not until I got a job in Kuala Lumpur with JKR as a 19-year-old and continued my passion for athletics by going for training on my own daily at the Kampong Pandan Sports Complex where the national athletes trained then, that I got recognition finally. “And that too, after nearly two years when the late Ishtiaq Muburak approached me. He said he has seen me coming for training diligently and asked me what my goal was. When I told him that I wanted to be a national athlete, he said he cannot promise me anything, but took me under his wings. “Then after several weeks he told me that I had good physique and was good in all events but master of none. He said he cannot see me going anywhere far, expect that if I wanted to compete in the decathlon. He told me that all the events required power expect for the 1,500m which was an endurance event. 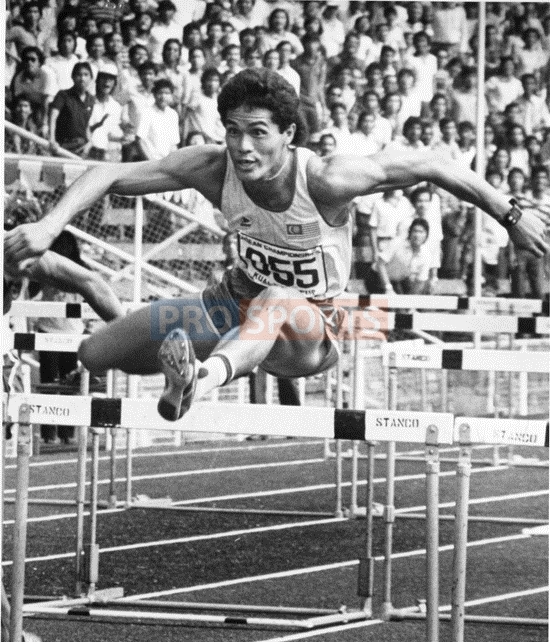 Hanapiah has his first national call-up in 1979 and within a year, he had won his first international gold medal in the 110 hurdles event in Asean Cup (Suharto Cup) championship held in Kuala Lumpur in 1980. 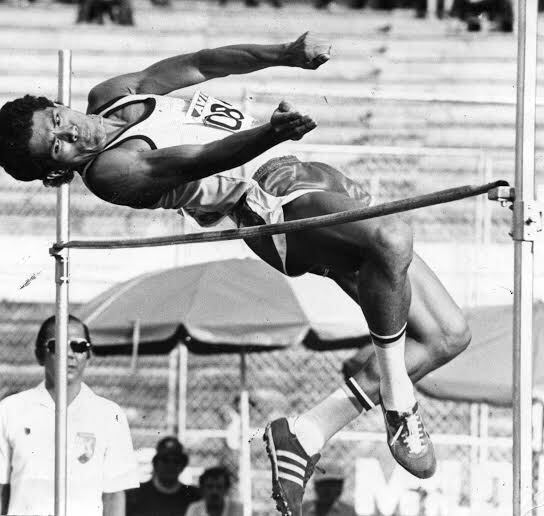 The following year, 1981, saw Hanapiah finally got the attention he deserved when he broke national record in decathlon – when he recorded 6350 points at national championship Ipoh. And in his first overseas international meet, the 1981 Manila Sea Games, Hanapiah won the gold medal in decathlon. There was no looking back from then on as Hanapiah was sent for short training stints from time to time and each time he returned, he improved his performance. He broke his own national record in decathlon when he amassed 6570 points national championship in 1982. At the 1983 Sea Games in Singapore, Hanapiah not only defended his decathlon but went to break the Sea Games record when he attained 6890 points. He also won the silver medal in the 110m hurdles. Hanapiah continued his prowess when in 1984, he broke the national record in long jump when he leapt 7.60m at national championship Kuala Lumpur. At the 1985 Bangkok Sea Games, Hanapiah continued to progress where besides winning his third decathlon gold medal, he also won gold medal in long jump and a silver running as a member of 4 X 100m quartet. He was fittingly awarded the Best Sea Games Male athlete. He was also awarded the Selangor Sportsman award for the year’s achievements. In 1986, saw Hanapiah break the long jump national record with his 7.73m jump at the national championship, a feat to be proud off as it was the first male athlete in the South-East-Asian region to jump over the distance. 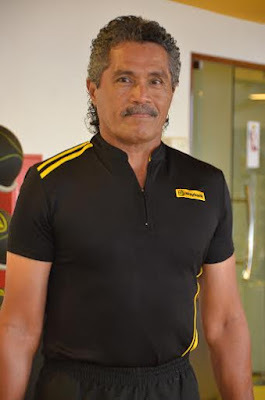 The next four years saw Hanapiah battling with injuries which began at the 1987 Jakarta Sea Games where he injured himself on the first day of competition competing in the individual long jump event and had to pull out from the decathlon too. 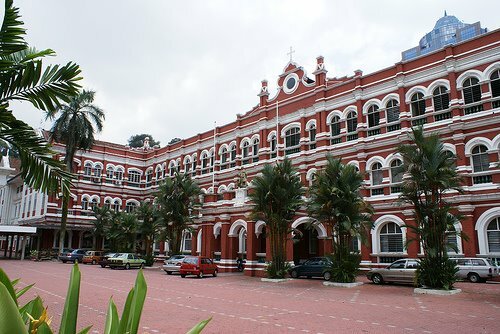 Then came another painful episode when he had to miss the home Sea Games in Kuala Lumpur in 1989 because of injury too. But he came back strongly, returning to his Sea Games debut venue – Manila in 1991 – but had to settle for a bronze medal with 6,590 points. While Hanapiah was injured, he was already involved in coaching and after 1991, he took a decision to turn a full time coach. But he had actually started coaching as early as 1983 while he was competing and coached triple jumper Zaki Sadri – five times Sea games gold medallist who is a national record holder. Armed with a diploma in coaching athletics and another in sprint and hurdles from International Association of Athletic Federation (IAAF) and also a qualified gym instructor (Universal Fitness USA), he went to assist athletes like hurdler Nurherman Majid, high jumper Loo Kum Zee, high jumper Nooraisah Ismail, long jumper Doris Chong, hurdler Hee Siew Nyiik and Romzi Bakar to name a few to achieve great heights. 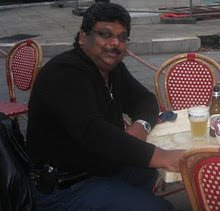 Hanapiah was appointed as chief coach from 2005 to 2009 before he made another crossroad decision to return to help his employers. The father of two – son Qazreen Qazraf 29 and daughter Navid Natasha 28 said that all that he is today is because of his involvement in sports. “I am sad to see today that athletes treat sports lightly, do not have the commitment, discipline and desire to excel. They do not know about sacrifice because they have it all easy. I hope they will change their mind set. Just look at me. 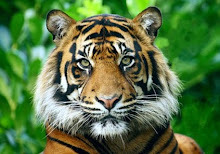 From a nobody I fought my way to make a name,” said Hanapiah who is married to Norafidah Talib. Not many of the present athletes can hold a candle to Hanapiah and he should serve as an inspiration to those with desires to excel to the highest level.